The Bumble team have been testing out campsites, ready for your Bumble adventures. Below are a few of our favourites, listed in order of distance from Bumble pick up in Peterborough. The Campsite A well maintained National Trust campsite situated on the banks of the River Ouse and right next to the historic working mill. Bumble tips This is the perfect place to launch kayaks. (you can rent kayaks with your Bumble Camper). Around the area Take a wildlife walk around Houghton Meadows and visit the riverside tea room. The Campsite With just 37 pitches in acres of beautiful gardens this campsite is peaceful and private. Not only is it a campsite but it is a farm and brewery. Bumble tips Make sure you stay for beer and sausage tasting on Saturdays. Enjoy even cold evenings by using the firepits provided on every pitch. Around the area Visit Wisbech and the Fens. The Campsite A small rural site of just 20 pitches, set in the green leicestershire countryside. Bumble tips A great location for walking. There are limited facilities but the toilets, showers and coffee hut have great attention to detail and are beautifully decorated with quirky up-cycled furniture. Around the area The Nevill Arms is just a few minutes walk from the campsite with a fantastic food menu. Bumble tips Open year-round, a great location for seaside adventures any time of the year. Around the area Explore the beautiful North Norfolk Coast. Burnham Deepdale has regular events and markets. 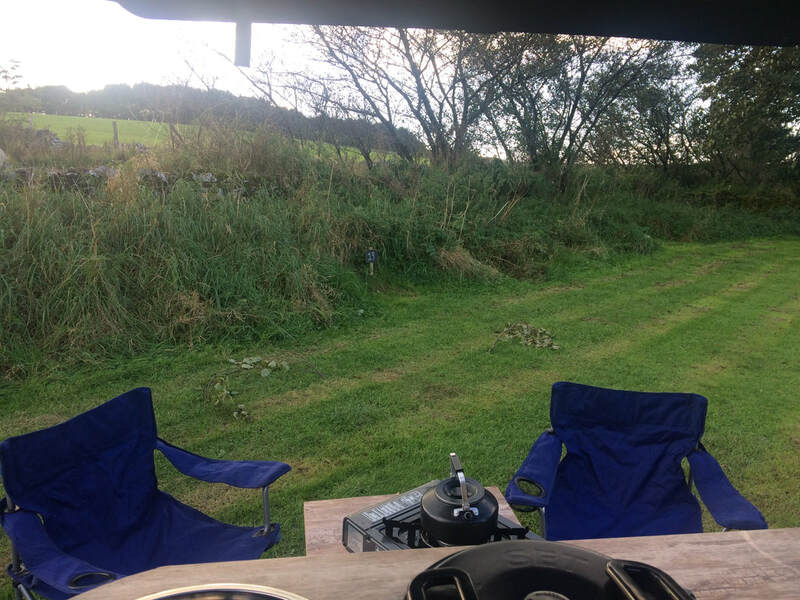 The Campsite Located close to Bakewell in the Peak District National Park. The campsite backs on to a cosy country pub. Bumble tips After a day exploring the peaks try one of the Royal Oaks signature Pies. Breakfast in the morning is pretty tasty too! Around the area A wealth of natural beauty that the Peaks has to offer. Look for a Bumble love lock on the bridge in Bakewell, or take a trip to Chatworth House. The Campsite A well maintained campsite behind a traditional pub on the A515, 15 miles north of Ashbourne, six miles from Buxton, with panoramic views. Around the area The Duke of York offers access to numerous walking routes, including the High Peak Trail, and is close to the Tissington Trail. It’s just a mile down the road from the High Peak Bookshop and café, and close to The Donkey Sanctuary, open to the public on Sundays (April to September). The Campsite With over 50 acres, Ashen Plains is a spacious and peaceful campsite with newly built toilet and shower block. Bumble tips Treat yourself to a Ashen Plains breakfast cooked on site. Around the area Explore everything th Cotswold has to offer. Dursley is close to the campsite with restaurants and shops. For nature lovers, Westonbirt Arboretum is certainly worth a visit.